Explore the possibilities of the new Bargello quilt block. This book presents an innovative alternative to traditional Bargello quilting. Maggie Ball’s versatile 16-piece Bargello block, constructed from only four sets of four strips, is quick and easy to piece. From there, you can manipulate the block to create an enormous variety of designs with flowing lines and interesting secondary patterns. 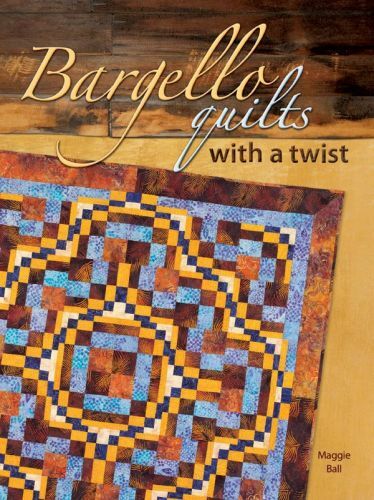 See what the “twist” in Bargello quilts is all about with this exciting new approach.